It has been a bit over 1 year since Augur has finished with their crowdsale of Reputation Tokens (REP) for their decentralized prediction markets platform. Augur has already sent the Reputation Tokens (REP) to everyone that participated in the crowdsale sometime today, even though their platform is not yet live (still in beta). The prediction markets platform is expected to be ready and launched probably by the end of the year, though exact date is not yet set. 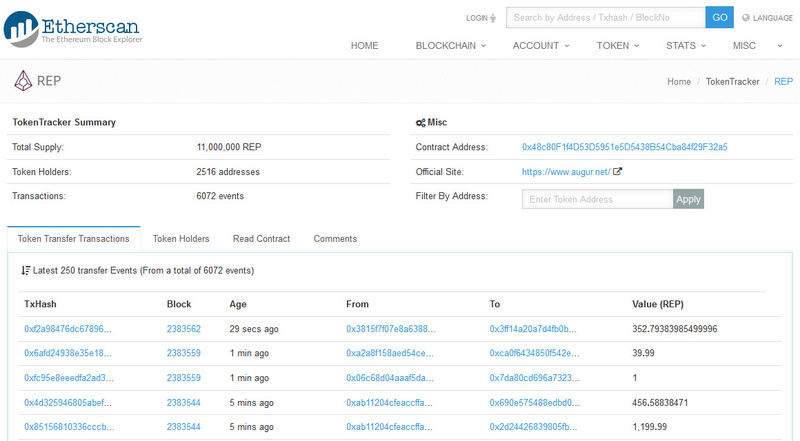 The total supply of Augur Reputation Tokens (REP) is 11,000,000 REP (eleven million). The total number of token holders at the time of distribution is apparently 2516 based on unique addresses. If you have participated in the Augur crowdsale you can check if you have received your tokens successfully already.